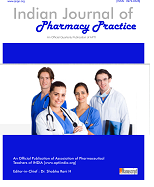 You may not create a link to this website from another website or document without Association of Pharmaceutical Teachers of India prior written consent. We request your presence and participation. APTI EC members meeting Grand Uniara A Heritage Hotel, Jaipur, Rajasthan on 4th October 2018, 6.00 p.m. onwards. Minutes of the meeting held during 23rd APTI at Swami Keshvanand Institute of Pharmacy, Jaipur, Rajasthan on 06th October 2018, 3.30 p.m. onwards. Call Us : 98443 99409 , 99458 46106.